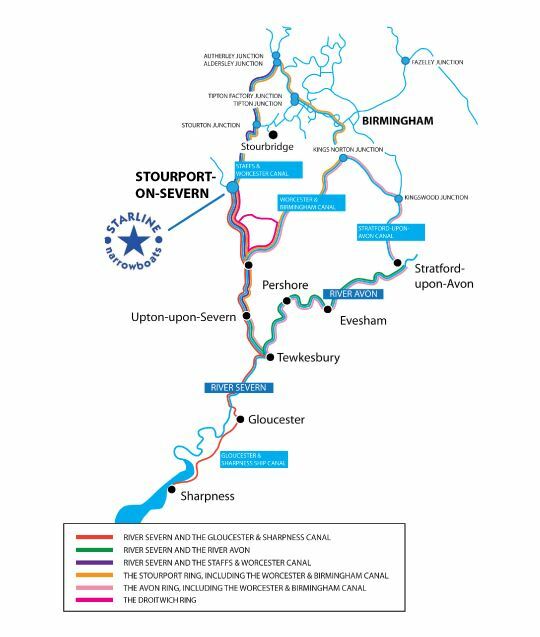 We are fortunate that from our base at Stourport on Severn the River Severn and the Staffordshire and Worcestershire Canal enable us to offer a wide variety of cruising options. We are rather spoilt in this part of the country and would like to share our stunning countryside and attractions with you. ​Onboard a Starline boat, a wealth of holiday options await including both historical and modern day attractions, miles of tranquil countryside, the fun of locks and much more.